Spread into an oiled tray so that you get a depth of about 1 cm. Put in a hot oven at 180〫for about 20min. The edges must look brown and crispy before you take it out. Let it cool down then cut big squares with the tip of a knife. Enjoy with a cup of tea on a blanket by the river as I did last Monday with my boys… Blissful! and more long term energy. To make this recipe healthier you can replace the fruit and nuts with pumpkin, sesame or linseeds. A good way to get the chicks to eat their seeds! 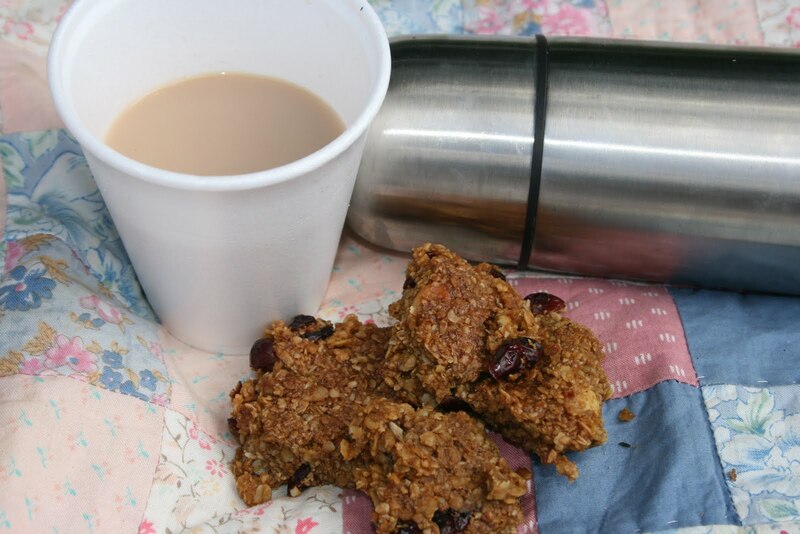 This entry was posted in family favourite and tagged cholesterol, flapjacks, oats, tea-time. Bookmark the permalink.